Last night when I went grocery shopping, I bought 18 sticks of deodorant. Yes, I said 18! Did I buy all this deodorant because I heard that there was going to be a shortage of deodorant for the next 4 years? Um, no. I bought 18 sticks of deodorant because I had coupons which made them free or more-than-free. One of my biggest secrets for grocery saving success is that I practice the Buy Ahead Principle. Which means, basically, other than dairy products and produce, I aim to never pay full price for anything. If you’re willing to be patient and observant, you can almost always buy most items at 50% off their retail price or more. Because I’ve been using coupons and bargain-shopping for over 10 years now, I aim to purchase most things when they are 75-100% off of the retail price. I don’t just buy one of an item when it is at it’s rock-bottom price. Instead, I purchase as many items as I can afford in my grocery budget to tide me over until the next sale. For many people who are used to buying only what groceries you’ll use in the next week, the concept of buying ahead can be mind-boggling. However, it makes complete sense if you stop and consider it. If your family uses 10 tubes of toothpaste in a year’s time and the retail price of toothpaste is $2.49, if you bought it at retail, you’d be paying $24.90 per year for toothpaste. If, however, you practiced the Buy Ahead Principle, and you collected your $1/1 toothpaste coupons and waited until toothpaste went on sale for $1 (which it does a few times per year in our area), you could buy 10 tubes of toothpaste for free. That’s a savings of $24.90 per year! What if you were to practice the Buy Ahead principle on when buying the majority of your groceries? Think about how much you would save! From my best estimates, I would say we routinely save at least $30-$50 each week by practicing the Buy Ahead Principle. If this is a new concept for you, don’t go out and spend $500 tomorrow trying to build up a stockpile. Instead, designate a small percentage of your grocery budget each week to buying extra of those heavily-discounted items which you know you will use sometime in the next few months. Even $5 or $10 a week devoted to stocking up on deeply-discounted items can go quite far. If you don’t find any really great deals one week, save your designated “Stockpile Money” for the next week. The argument I often hear when I suggest people practice the Buy Ahead Principle is “But I don’t have any space to stock up.” Well, in very rare cases (say, if your family of 6 is living in a one-bedroom apartment! ), I’d agree. But in most cases, there are plenty of creative nooks and crannies in your home you could use to store extra non-perishable food and household supplies. Maybe you need to clear out some items you’re not using to make room. Or maybe you could install some extra shelving in a closet. Perhaps you could store things under the bed or in a few boxes in a closet. Get creative, think outside the box, and I’m guessing you’ll find someplace you can use! When we were living in a one-bedroom apartment which only had one small closer, I used a little cabinet in the living room to store extra stuff. When we were living in a two-bedroom apartment, I used the cupboards over the washer and dryer to store extra stuff. I was amazed at how much I could fit in a small space when I set my mind to it! I think it’s extremely cost-effective to Buy Ahead. However, I also think it’s just as important to know when enough is a enough. If you have mountains of unopened tubes of toothpaste falling down on top of you when you open up the bathroom cupboard, you probably don’t need to go out and buy 55 more tubes! Yes, I bought 18 sticks of deodorant yesterday. That’s more than we’ll use in the next 2 years. But what I didn’t tell you earlier was that I’ll likely donate at least half–if not more–of those. I love being able to share from our sur of items with those in need. Or just pass on a great deal to a friend, too! My philosophy is that if there is plenty of an item on the shelf, I have a lot of coupons, the item is free, it’s something we’ll use, and it’s something I can easily donate if we have a sur, I’ll buy as many as I have coupons for.Your philosophy might be different. So decide when enough is enough for you, and then stick to that. Twice a year, I go through all of our stockpile of groceries and household items and pare down to the basics which will last me for 4-8 weeks. This way, we never have an over-abundance. In addition, taking the Eat From the Pantry challenge is a great way for us to make sure and use up some of our stockpile. If you don’t apply any of the other 30 ways to cut your grocery budget that I’ll be sharing in this series, but you adopt the Buy Ahead Principle and stick with a grocery budget, I guarantee you will see a significant savings in your grocery bill. And you’ll likely be shopping less and eating better than ever before! Wow….great read. This is definitely something we’ve been trying to implement since I found your blog. Thank you! One of my questions is how do you get 18 coupons for your deodorant without buying 18 newspapers?? Most of my friends are bargain shoppers too or don’t buy the paper…any creative suggestions? Thanks! ABSOLUTELY!! That is what has saved us thousands every year with our family. I about died when my husband went out and bought a deodorant. I have ten left in our stock pile, but guess what…they were all womens…oops. With three teen boys that play sports, that was not wise on my part. 🙂 We had a good laugh though. @Emily Kay, Mine is picky, too! Although, I found out that if I closely compare the ingredients on deoderant, I can find others that he will also try. He is getting better, especially since it’s all we have in the house and he’s seen the savings add up ;). Reading this reminds me of growing up & well how we still do things in our family. My mom shopped this way & still does & I do to. I don’t know how people shop week after week for the same items. Good read. I am really getting into stockpiling and significantly reducing the amount we’re spending on quite a few items–I’m finding it challenging, though, to keep my family from ‘overusing’ our stockpiled food. Just because we have many bags of a particular snack doesn’t mean that everyone should start inhaling as much as possible, right? I’m not trying to hoard the food, but it seems to be disappearing faster than it was when I didn’t have a stockpile. Any suggestions? I’m having the same problem… I started building up a stockpile in January, and my boys are inhaling the breakfast cereal, particularly the more sugary items. Short of installing a lock… I am still down 25-30% on our grocery costs, even though. In response to those whose kids are eating your stockpile too quickly here’s what I do. When I am putting away the groceries and I have numerous boxes of something I write the date of a different week on each box with a sharpie and that box cannot be opened before that date. It has worked wonderfully so that 3 boxes of Cheezits aren’t gone in a week. I am just getting into this stockpiling as well. Our version of Kroger (Dillon’s) has the Chex Mix on sale for the Cart Buster sale. With coupons I was able to get 8 bags for FREE! My 4 kids have eaten 4 bags in 2 days. My point is, my kids are the same way! I’m just implementing a rule that they need to take a serving, because when it runs out, it runs out. I’m NOT buying more snacks when these should last us at least a week or more! Thank you for this great post! I’m enjoying reading the 31 days and anxious for what more is to come. You’re post made me laugh! Yes, I agree that when they run out, they run out! This is why we no longer buy cheese sticks, for one. @Michelle, I agree with the others about hiding things: we’re expecting our first baby, so last week when my husband’s favorite chips went on sale, I bought four bags and hid them in a plastic tote in the baby-to-be’s room. It worked so well, I think that will be the designated snack hiding place–until she gets old enough to wise up, that is! Another thing that I started doing was buying plastic, snack-sized containers: when I bring out a bag of chips, I portion it out right away. Otherwise, dear hubby eats half a bag without realizing it. He was actually excited about the change–he feels like he actually gets more chips now! I really appreciate everyone’s suggestions! I’ll have to concentrate more on hiding and also time-spacing our use of stuff. My poor freezer is so packed there’s no way I could get anything else in there! I would like to resolve/improve the situation without feeling like a jailer. @Michelle, I have that SAME problem…but with my husband! I can’t very well discipline my husband and don’t want to hide food from him (or make him feel like we’re on rations), but I don’t want all the food disappearing in a week, either. Thank you so much for this series! I’ve couponed for a year or two but still learn new things on this sight often! Trying to implemt the cash buying idea. Its working out pretty good, thus far! I just had 9 bottles of body wash from Target! I’m going to end up making more than $40 from buying them from the great Olay rebate but do I need 9 bottles? Not so much. 3 went to my mom and two sisters. My mom cooks, I give her what I get for free! I am still trying to find a local shelter to give some of the 10+ tubes of toothpaste and toothbrushes to! Thanks for sharing all this great info with us! @Lindsey, how were you able to make $40 in rebates? That Olay $15 rebate is limit 1 per household. But since I’ve started coupon shopping and CVSing, I’ve never had to pay over a dollar for any one item. And most of it has been free! Talk about the complete opposite feeling. Now I have a huge stockpile of everything we need. And like you said you can always donate items you can’t use. I love giving my stockpile items to friends that may be having a hard time financially or the college students at our church…they can always use freebies. Michelle- What has worked really well for me is I bought a few of those under the bed storage containers and I keep my stockpile in there… No, the hubby doesn’t even know that there is a stockpile let along knowing where it is. He would eat it up before I got a chance to blink. My hubby is getting tired of my stock piling, but part of the problem is my lack of organizing…I haven’t had a lot of time to figure out exactly what I have. I love coupons! Studying for my insurance exams I’ve slacked off a lot and can’t wait (now that I’ve passed!) to get back into organizing and clipping. I think the hardest thing for me is staying within budget while I try to stockpile. But I’m slowly trying to stick to the “cash only” policy so that I know what I have to work with for both our monthly food budget as well as stocking up on certain things. @Kelly, Thanks so much for passing the word along, Kelly! @Cathy, $1/1 means $1 off 1 item. So $1 off 1 tube of toothpaste that hopefully is on sale for $1. And if you have 5 coupons, 5 FREE tubes! You will likely see others too, but these are what I can think of off the top of my head. I believe Crystal has a section on couponing in the archives that may be helpful. Hope this helps! @Cathy, These are 2 of my favorite pages along with MSM’s. They both have a “Coupon Lingo” post and other helpful information. Enjoy! @Adriane, Thank you for your help girls!! Can’t wait to begin! I’m glad you mentioned “as long as there’s plenty on the shelves.” I remember being frustrated if I stopped in a CVS or something in the morning at the beginning of a sale, and the item I wanted was missing. So yes — save some for other couponers! That’s a really important point that you made, Crystal! @Kacie, Thanks Crystal. Thats a wonderful article. Recently, when the perfume gift sets went 90% off, i hurried to CVS to get 2 sets to gift my in-laws for their wedding anniversary. Unfortunately, the shelves were wiped out. The cashier told me that a lady came and took all of them(nearly 30 boxes). All of them!?! I was happy for her but there were none left for me…and i needed just two! I tried justifying this by saying, ‘Maybe she had a huge family’ but deep inside i felt, all she had to do was to leave at least one for me. It could have been a great Donation on her part. It was that easy. Donation begins in the mind. When i talk Donation, i feel that leaving a few boxes on the shelves for fellow couponers or others itself is a means of giving. Everytime I leave a few items on the shelves, i think to myself, ‘May someone benefit from this deal/freebie. May they feel the happiness i am experiencing’. This feeling makes my day. Couponing is great. I have a good stockpile but I also follow the ‘live on less’ principle. Makes me feel good about myself. I am a fan of stockpiling what you need and what you will use, too. However, I get very frustrated when I want to take advantage of a sale, only to find out that another couponer had beat me to it and taken it all. At three different stores! Maybe you can devote an entire a post about couponing courtesy – just because you can doesn’t mean you always should! Maybe it was not only one couponer?? Maybe there were 3 , 10 or 100 of them. When the shelves are empty it does not mean there was only one person who cleared them. And don’t feel like you’re the only one couponing with one more person in your area! Maybe you just need to gat a rain check! I’m with Summer. I have tried for months to do CVS and Walgreen’s using all that I have learned from Crystal’s blog. I spent a lot of time compiling my list, coupons and planning my trip out only to find there is nothing left. I’ve actually just given up and it is so discouraging because we are on an extremely tight budget and could use the savings. I’m not trying to stockpile, just get a few good deals a week on necessities. But, every time I go to the CVS and Walgreen’s in my area, all of the specials that work out to free with coupons are completely cleared out. The manager told me at both stores that it is usually just one or two people that come in every week and do multiple transactions, sometimes wiping out the whole stock. He said that everyone who works at the store is disgusted by it and feels it is totally unfair to the other customers, but they can’t do anything about it because she “kindly reminds them of store policy.” (Advice that is given on many of the personal finance blogs). I love what Crystal is doing, but some people are taking this to the extreme and leaving some of the rest of us in their greedy dust. I’ve found that my Walgreen’s is terrible at stocking sale items. Most times if I don’t go in bright and early on Sunday morning, the items will be gone! And even when I do get there early, there isn’t much of the sale items. So, it’s not always “greedy” people-sometimes it is the store’s fault. Also, ask the store what day they get a shipment in. At mine, it’s Thursday. So, if the item is all out on Sunday, I know that I shouldn’t even try to go back until Thursday. I have found that there is one store in my area that obviously doesn’t get any couponers and/or they have great stock-I just go there and avoid the other one. HTH! @Rachel M., At CVS, you only have a limit of 1 or 2 for the really good deals, so it’s difficult to imagine that 1 or 2 people are taking all the deals, unless they’re using multiple cards per household, which is a no-no and against company policy. One thing to keep in mind is that CVS will give you a raincheck that will also enable you to receive any ECBs that go along with the deal. Of course, Walgreens will give you rainchecks as well but you will not be reimbursed for any RRs that you missed with the deal. I love that CVS will give you the ECBs when using a raincheck because that means that I never have to fret if the item is out-of-stock. Sometimes, I have found that when using a raincheck, the computer prints the ECBs rounded up to the nearest dollar whereas if I had been able to do the deal the week it was going on, the rounding wouldn’t not have happened. Example: one week the ECB for an item was like $1.65 (I can’t remember exactly) and I got a raincheck. When I used the raincheck a week later, the computer printed out a $2 ECB!! Nice! Wow Carrie! That’s awesome info about CVS. The store manager didn’t mention rain checks and I honestly never thought to ask! Thank you SO much. By the way, to all the responders, I’m sorry if using the word “greedy” seemed harsh. I was feeling frustrated about how things have gone with my efforts to save on our necessities. I do think that some couponers, even in the interest of frugality, cross the line into that territory. But certainly not everyone! @Summer, When I go to Wags and the shelf is empty, I always ask a clerk to check the stock. Often times they have more in the back room and just have not had time to bring it out and restock the shelves. I also wait until later in the week as I have experienced the Sunday Sellout too. I’ve been stockpiling too, and its great! There are some things we’re picky about- DH will only use Gilette body wash and I’ll only use Clean and Clear face wash, but coupons for both of those turn up periodically and I usually have enough ECB’s from CVS to get them for much less than the normal price even if they aren’t free. I keep a donation box at the bottom of our linen closet and any freebies I get over and above our stashed amount go straight into the box. When it gets too full I put it all in grocery bags and take it to work since I work for a nonprofit and we take donations of most personal hygiene products (things I usually get for free or nearly so at CVS). @Stacy, I like the idea of the donation box in your closet! The buying ahead principle seems to be a great idea. I am the type of person who just buy what I need. With your principle I just learned a big shopping strategy to save money. I will try it. Thank you. The main problem for me is organising and storing of the stockpile I get.Crystal, it would be great if you write a separate detailed (with pictures) post about this. I’m a visual person and I need to SEE how other people organise and store their stockpile items. We could all share the pictures of the boxes and shelves and storage bins, etc we use and all the creative places we use to store those 157 bottles of shampoo in the house. :) It would be also very helpful if we share where did we buy all those storage things. Well, just an idea for a future post. @Alice, You should check out grocerygame.com in the forum about stockpiling. There are so many pictures of well organized stockpiles- it is so inspiring! There’s also a thread about ways to organize your coupons with pictures. It has helped me a lot! Alice, you can find lots of pictures of people’s stockpiles by going to Flickr and typing in something like “food storage” or “stockpile”. Also the website Grocery Game has a topic where people post there stockpile photos. Crystal, I see things on other web sites about selling your stockpile like at a yard sale and I was wondering if you were able to sell any things like this at your last yard sale you had and if you had any thoughts about whether you would or wouldn’t do this. @Emily, I know of a gal who does this, but instead of a regular garage sale, she just has her stockpile sale twice a year. It’s really kinda by invitation only- friends from church, etc. (and their friends). She sells for two or three days with everything set up on shelves in her garage, and then donates everything left over at the end of the sale and starts over with her stockpiling. That way she doesn’t end up with really old stuff. She sells her nonperishable foods, health and beauty products- whatever she has sur of. She sells it all for about 50% of the retail price. I personally never went. I couldn’t imagine actually paying even half price for my toothpaste or cereal. But my neighbor loved it because she was not the couponing type, not the shop the sale type, so this was a great opportunity for her to get stuff cheaper. Interesting idea anyway. @Emily, A lady down the street from me does this but doesn’t get a lot of sales. I go to garage sales to look for used clothes or toys or books or tools, not jars of spaghetti sauce. Plus you have to store it, and there’s all the work of setting up the sale. Personally I get much more fulfillment of sharing with a domestic violence shelter and unemployed family members. @Milk Donor Mama, I have done this a couple of times. Mainly as an opportunity to bless Hispanic families that frequent my garage sales. Immigrants take great pride in buying instead of receiving charity. They are not necessarily coupon savvy due to lack of education and lack of time. In general what I do is place all full size items on a table and have a standard price of $1.00 per item. I place mainly toiletries. It is always a great success. Thanks for the responses. I actually have done this myself at a flea market last year and made quite a bit. Not sure exactly how much since we had a lot of clothes and other household stuff as well. I definitely think donating some items is a good thing, but it’s also nice to get some money back out of all the hard work, gasoline, and money spent on taxes that goes into hunting down bargains. another possibility is taking advantage of a sale already set up, like a block rummage sale or taking a table at a flea market. I know another blogger who does this with her stockpile and makes a LOT every time, she doesn’t have to deal with the hassle of setting up a sale in her own front yard. Love your blog, Crystal! I love using coupons, I’ve learned so much from you! Keep up the great work. Every year we are able to pare down our modest stockpile when our church organizes back to school events (and stocks backpacks with school supplies) and holiday grocery baskets for families in our Angel Tree Program. Additionally, many towns have Food Pantries that rely on donations. Consider ways that developing the skill of modest stockpiling (but please be careful about a hording mentality!) can not only bless your family, but those in your community! I spent under my budget yesterday when I got groceries! I’ve been stockpiling for a year now and I love it!! Great post–this is what I’ve been doing for almost 2 years now. Slashed the grocery budget, plumped up the savings account, donated tons to the local food bank, and we’re eating much better, too (I never looked at Kashi cereal, for example, until I found a way to get it for 50 cents a box 🙂 ) I’m now stockpiling supplies for our annual youth mission trip–paper goods, rubber gloves, etc. I’ve spent about $6 and have over $100 in items. Crystal, I know you’ve posted in the past about GPT sites … I get CVS gift cards from My Points and I’m sure other sites have drugstore gift cards, too. I haven’t spent my own money at CVS in years. I’ve been doing this for years as well. My toiletries sur goes to a domestic violence shelter and to my parents, who are currently unemployed. I’ve been able to get our weekly grocery budget down to $29 average per week this year for DH, 3yo DD, pregnant me, and our 2 cats. My cats eat Purina One healthy weight & hairball control cat food, which retails for $5.99-6.16 per bag at Meijer. Last year, Meijer had a $5 off any Purina One coupon posted on their website for more than 6 months. Every time I got a manufacturer’s coupon for Purina One, I’d print one of the Meijer store coupons, and go get a free bag (or three) of cat food. I “bought” a total of about 40 bags of cat food, which will last for an entire year (it expires in 2012 so no worries there, and I have it stored in plastic bins that are vermin and moisture proof). So, had I bought each bag as we needed it, 40 bags would have cost about $240. The way I bought it? FREE. That $240 is two years worth of veterinary checkups for the kitties! @Kim, I am always greatful for free toothbrushes. It seems that every time my kids have a friend spend the night, they don’t remember a toothbrush – or deodernat, etc. Good thoing I have all that free stuff! Can’t wait for your tips on coupons & where to get them. I’ve been contemplating some recycling bin areas around me, but I’m a little too chicken. One other thing – it’s easy to go overboard. I agree with knowing when enough is enough for your family. I don’t want food stuffs to spoil or go beyond their expiration dates – that’s really not saving me in the long run. Thank you so much for asking this question, I will be awaiting replies because I thought the exact same thing but did not know if it was allowed! @Lea, I would think at Rite Aid it would be allowed (if you don’t get a fussy cashier), because Rite Aid’s coupon policy specifically allows for 2 BOGO coupons on 2 items resulting in 2 free items. Other stores are much less inclined to go along with this — like Target, I tried to do this with 2 BOGO Qs on Chef Michael’s can dog food and was told by the cashier and manager that it is absolutely NOT allowed because the B stands for Buy so I had to actually Buy something 🙂 But try Rite Aid if you have one. I don’t think anyone’s talked much about stockpiling meat… we do that in addition to personal care items and paper products. If I had to pick on thing that saves us the most money at the grocery store is this: we buy almost all of our meat only at the best sale prices. We buy enough to last until the next good sale. For example, we like Angus ground round, which is normally $4 a pound — $4 a pound ground beef?! Yikes, if we paid that we would be broke 🙂 This week it’s on sale for $1.99 so I’m going to buy 10 pounds and precook it to make supper prep faster. We do the same thing with chicken breasts — we pay $1.79 to $1.99 per pound instead of $3.99. Pork loin too. Good sales are running $1.59 a pound; we cut these into boneless loin chops. If I were to buy boneless loin chops already cut at full price they would be $5.19 per pound. @Trixie, Yup, good points. I buy whole chickens when they’re cheap, cook them, shred the meat, package it in 1- or 2-cup portions, and I’m all set for quesadillas and casseroles, etc., on those crazy weeknights. When chuck roasts are buy-one-get-one free, I stock up and make slow-cooker beef barbecue, and freeze one or two for slow-cooker pot roasts later on. So many ways to save! @Jan, I have a question about chicken prices that maybe someone can help me with! Until about a month ago, I only bought boneless skinless chicken breast, and would be happy to find them for $1.97/lb. Recently, though, I’ve started buying whole fryers at $.88/lb, and felt very proud of myself for sacrificing time and squeamishness to skin and wash the chicken whole. I figured that a little more than half of the weight would be meat, so I’d save a few pennies per pound. Last night, I cooked a 4.8 lb chicken (purchased for $4.22), and weighed the shredded meat. I was horrified to find that I only got about 20 ounces of cooked chicken off the bones. That’s $3.37/lb! I was discouraged, because not only was I spending extra time and touching raw chicken (which I’m not crazy about), but I was paying extra to do it! Has anyone looked into the relative economics of buying boneless skinless versus whole chicken? If so, is this ratio of cooked meat to total pounds common, or did I perhaps get a really boney chicken? I would love to hear your thoughts/advice! My usual way to evaluate the price of meat is by how many servings/meals I expect to get out of it. That’s a lot easier for me to visualize when I’m at the store. @Adriane, Hmn, I’ve never weighed the cooked chicken to do cost analysis, but I typically get 14 cups of meat out of two 7-lb oven-stuffer roasters (slightly less if hubby steals the drumsticks). Of course, I also cook the carcass for broth, so that portion isn’t a waste. And roasting the chicken with the skin on does make it very flavorful (I have a convection oven, too.) But I’d imagine that if you can get boneless breasts for under $2/lb, that might be the best bet. It would certainly cut down on chicken-handling, and your time is worth something, too. @Adriane, Hmm. I’ve never weighed it, but I always have felt like I get a good deal with a whole chicken priced at 79 cents a lb. or less. Seems like I get more meals out of it, especially if I make a soup out of it. But most importantly, a whole roasted chicken tastes so much better than boneless skinless breasts! Plain breasts usually need a sauce or casserole to jazz them up, but a whole chicken can stand on its own. I hate messing with raw chicken also, but to roast a whole one isn’t too bad. Quick and easy. Also, if you weighed the cooked meat, it will be less because of all the juices/fat that have oozed out. Weigh the boneless breasts, and I bet they lose weight, too. @Trixie, Great idea about cutting pork loin into boneless loin chops……I NEVER would have thought about that. I’m so going to try it. I usually wait until the pork chops go on sale either B1G1 (usually about $4.99/lb, so $2.50/lb on sale) or $2.99/lb if I can’t wait for a B1G1 sale. So, what exact cut do you buy…..pork loin (not tenderloin or roast)? I’m not sure I’ve ever seen that…..of course, I haven’t been looking for it. I’ll be looking when I do my shopping this weekend. @Emily, Boneless pork roast makes wonderful chops. You may even be able to have the butcher cut it into chops for you for free if you ask (depends on the store, but most will do it). I buy pork roast at Sam’s Club for $1.89 (it’s that price all the time). It rarely goes on sale for less than that here, but if it does, I stock up! My limit on meat is $2 a pound; I won’t pay over that for meat. If I can get it for less than $1 a pound, then I really stock up! @Emily, even better than cutting them yourself… take the loin you want to buy up to the butcher block and ask them to do it for you! You can also have the butcher shop cut loafs of cheese into sandwich slices. A few weeks ago my husband ran out of hair gel. He came to me panicked that he had run out and that he had to testify in court that day. I walked over to our pantry and pulled out a bottle of hair gel that I had gotten for free weeks ago. I showed him our supply closet and he smiled. He likes to tease me about about coupons and stalking deals but I know that he is really grateful for my work. A well stocked pantry has saved us a lot of money throughout the years and I am grateful for websites like this one which encourage frugal living. For me the best storage method for stockpile consists in using theme areas of the house. Toiletries: Chest of drawers located in guest room, top drawer for head products, second drawer for face products, third drawer for deodorant and shaving products, fourth drawer for body lotions, washes and soaps, fifth drawer for miscellaneous. Household/Cleaning: Garage Shelf; Top shelf laundry supplies, second shelf general cleaning supplies, third shelf paper supplies. OTC Medicines: Kitchen Cabinet, Top shelf, first aid, second shelf cold, allergy and pain management, third shelf vitamins and stomach medicine. bottom shelf, all open items currently in use. Food: Frozen in garage refrigerator, all other non-perishables top and second shelf in pantry. This includes inventory sheet and do not use sign. All other shelves contain products already in use. This method may not work for everyone but it works for us. I have always found empty spaces on the top shelves of kitchen cabinets. this requires the use of a chair or ladder to reach keeping everyone away from temptation. Through stockpiling I have learned that there are some things you should never pay for, either get them free or free overages! Check out my Top 10 list! GREAT post!! !I have always bought on sale and used a coupon here or there but really got into this last year. It is so fun to see what I can get for almost free or free. I give alot to family when my laundry room is about to explode. I agree with donating the extra – it’s one of the greatest feelings to share my bounty with others! I volunteer with a local group that meets all sorts of community needs, usually on short notice. They LOVE all the hba items I donate – most I got for pennies or FREE! I just figured out how much I will save by not buying my diet coke out a vending machine at work and buying it and bringing it with me. WOW! Such a small change with such a big $$ impact. Check out my post at my blog. What I tell people who are anti-coupons (they just haven’t converted yet!) is you can do the “buy-ahead principle” or “stockpiling” without using coupons, as long as you watch the sales, and you will STILL save a LOT of money! Thanks for this series. I actually have been working on organizing my stockpile this past week. I have a few different drawers and under my bathroom sink that I would put toiletries when I got them cheap. To my surprise, I have 20 containers of deodorant and 12 tubes of toothpaste. I have been contemplating what to do with it when I found out our church youth group was collecting donations for non-food items for the Food Bank. (toothpaste, deodorant and razors!) I wouldn’t have thought that the Food Bank took those items. Also, I organized a group of friends to do a weight loss challenge and am putting gift packages together for prizes for the winners. In it will be toothpaste, deodorant, razors and feminine hygiene products that I’ve gotten for free. I haven’t been able to talk any of them into couponing yet. Maybe seeing what I have collected will help them change their mind! Pork Loin (which goes on sale regularly). That’s the one I’d slice at the right price. Beef–round steaks or roasts (on sale). Cut into cubes for stew meat. Put cubes into ‘ziploc’ freezer bags, pour some salad dressing (from a previous sale) over the meat, seal and freeze. Quart size is good for this. Becomes an easy beef stew in your crockpot. I don’t even thaw the meat before crocking, but put the veg in with it. Im loving this series and linked it on my own blog the other day … but as for the buying ahead principal I need to insert a warning — dont buy ahead too much or before you have a good handle on what you will be using and how fast you’ll be using it. Last year when I started couponing (and enjoying it a lot!!!) I dove right into buying ahead. Big old fan. We have one household toiletry stock pile in a clear plastic box. One of my friends just started couponing and was concerned with stockpiling. She was afraid she would have to rent storage or something. When I showed her how mine were in one box and contained to one area she seemed to be more at ease. I love stockpiling and using coupons. We work with a college ministry and most of the student are usually low on funds so we donate a lot of our free or almost free items to them. There are a couple that have a more difficult time than others and I try to make a special effort to give them first dibs. I love everyone’s ideas on storage and giving! Thanks so much for the great advice. When I first read your site I said to myself why would you need 12 bottles of anything. Then we started shopping and stockpiling. Now I am sad if I run out and have to pay for anything full price. We donate alot of the things that we get for free and it has been great to teach this ot our kids. Great post. But even in a small place, I still practice this principle. Our closets stay stuffed, but it’s worth it! The only thing I don’t even try to stockpile is TP-there’s simply no place to store big packages. But I encourage anyone to do what you can! One thing I don’t see mentioned is expiration or freshness dates. You’d be surprised what kinds of things have them if you look for them! Don’t forget to check your boxes on your stockup items for those dates! I like this idea of using part of your grocery bill for the buying ahead stock… what would you say is a good percentage of a budget to use towards this to make it effective — 5, 10%….or should we not even go there with percentages? Couponing is time consuming. Being an Asian we cook food daily and dont take lots of pre processed food. Its also kind of addictive in nature becoz i bought a lot of stuff as it ended free but i didnt used those. So i feel like if you are not it control couponing can make you spend more and end up buying things that you dont use and donate at the end. Couponing does save money if you have self control and the maturity to say NO to some deals. Some great advice! Couponing can be a great savings. It doesn’t come in so handy when you are trying to eat natural though because those items expire and rarely have coupons. I am new to your blog and have so enjoyed reading. Thanks so much for all the great money saving ideas! Hello! I am wondering if anyone can point in the right direction concerning what can be frozen, ie, cheese, bread, etc. Also how long these things can be frozen for. I am interested in freezing extras that I buy. Thanks for any help you can give! Thank you for the continued inspiration! Looking forward to how you’ll be changing your website…coupons/deals and ways to save money etc! First of all, I LOVE this site! Thank you so much for creating it. I’m not even a mother- I’m just a single twenty-something, but I still find the info extremely useful to my own lifestyle. Plus, you turned me on to Dave Ramsey, so thanks so much for that!! You both have been a big inspiration. My question is though if you have any advice on couponing and stockpiling for someone who doesn’t get to shop very often- like once a year! I moved overseas four years ago, to a country where everything is double the price (and I am not exaggerating! ), so I stockpile toiletries every time I go home (which is at most once a year). But don’t the CVS deals usually rely on frequent purchases? I guess that is where it seems you can get the best deals and I think I might miss out on that. I know my case is unique, but any other tips and tricks I could use would be appreciated! Thanks again for your awesome site! Oh, wow. I am really not disciplined enough to do this. I keep losing the coupons, then things don’t go on sale before the coupons expire. And where do you find coupons for stuff you actually buy? Honestly, I guess I don’t look often enough to find the toothpaste deals. My friend is always on top of those. Hate buying toothpaste at full price when you can get it free! Would love to find body wash deals – I can’t stand paying so much for that stuff, either. Great advice, though. I’ll keep reading for more! 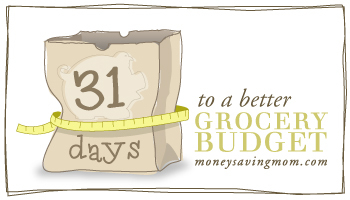 I agree that this concept is absolutely key to grocery savings. It’s also one of the things that can make new savers go a little crazy, and feel like they have toothpaste coming out of their ears! But over time, you will gain an understanding of how much to buy and at what price. As for the storage, free shampoo was a great motivation to clear out the clutter under the bathroom cabinets! Just a quick note… My husband got sick of me spending time couponing, that during TV time I’d sit and clip and match coupons while we chatted and watched TV. He wanted my attention but felt he was sharing it with the coupons. As my stockpile grew, so did his jealousy towards the “stuff”. In October he said “enough! no more couponing!” Quitting cold turkey was tough. I had no idea how long it the stockpile would last. Well, 4 weeks ago we ran out of our last pasta, sauce, diapers, and toiletries. Our grocery bill was only $10/week light over the past 5 months (since stockpiling is so cheap!). The amount we’ve spent out of pocket to “survive” this month has been AWFUL! I think, for our family of 6 (2 of which are in diapers) we’ve spent $800 in 4 weeks!! OH MY GOODNESS!!! Funny how the stockpiling really, truely makes a difference and keeps us from spending soooo much extra!! My husband always says that the money I save us by being home and wisely managing our home is worth more than having me at work, away from our family and 6 small children. You sure show the numbers in your comment! Recently I have always gone to the store with the mindset of “spend as LITTLE AS POSSIBLE”, but I think budgeting will help me spend even less. And I would like to start couponing…. but does anyone know which stores are generally the cheapest and/or have the best deals? Is there a post in the archives someone can direct me to? I live in Northwest GA/South TN, and the stores in my area are Ingles, Aldies, Bi-Lo, Food Lion, Wal-Mart, Target, CVS, Walgreens, and K-Mart. I usually do all my shopping at Wal-mart, but would be willing to go elsewhere if the savings were there. Well I need to start doing this but I’ve never done it before. My only question is, we are trying to Organic. Can this work that way too? I haven’t seen many coupons for for Organic stuff. Any ideas? @Julie, Yes, we do organic only and grass-fed beef. We stock up at the farmer’s markets or pick-your-own farms in the summer and put it away in our freezer (we got a free one on freecycle). Organic produce still goes on sale in the super markets, you can stock up then too and put away in the freezer, or make meals with them and put those in the freezer. As for the organic prepackaged foods, you can write the company for coupons (there are also organic coupon companies out there which give away coupons for organic prepackaged foods). Then I store them, waiting for them to go on sale in the store. I know the expiration dates (well at least close to them) to make sure they get used before then. What I want to know is where you come up with 18 identical coupons. Buying the extra newspapers is not cost-effective. I only have one other source of extras… I only barely understand the concept of *buying* coupons…isn’t everybody buying the “good” coupons for that week? I always hear about how great CVS is, but they are not in the Pacific Northwest. I’m so jealous! As far as how long you can freeze foods, check with the home economics or consumer science agent at the cooperative extension service in your county. They’ll have a chart, or can point you to the web site, with all those details. Where do you get your coupons from? Thanks!